Regular meetings begin at 6:30 pm in the Commissioners Meeting Room at the Cabarrus County Governmental Center, 65 Church Street, S. Concord, NC. Please select the meeting of interest to verify the meeting time and location. 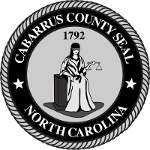 Work sessions typically begin at 4:00 pm in the Multipurpose Room at the Cabarrus County Governmental Center, 65 Church Street, SE, Concord, NC. Please select the meeting of interest to verify the meeting time and location. In accordance with ADA regulations, anyone who needs an accommodation to participate in a meeting should notify the ADA Coordinator at 704-920-2100 at least 48 hours prior to the meeting. Looking for meeting minutes or historical agendas? Search our document archive.